Just weeks after releasing its Hub keyboard for iOS, Microsoft has dropped another one. The Word Flow keyboard is available today in the US App Store and is meant to make typing on-the-go a lot easier with its nifty one-handed option. Similar to the Windows Phone keyboard, users of the Word Flow keyboard can tap and swipe words, which can be quicker than traditional typing. The one-handed feature, called Arc mode, also makes the keyboard a great option for anyone (myself included) who struggles to walk and type at the same time or repeatedly falls over while trying to hold the phone and tweet simultaneously on the bus. It works by moving the keyboard to one corner of the screen in a semi-circular shape so you don’t have to extend your thumb to type and risk losing your grip on the phone. And if you’re really into keyboards, you can also customize the colour and make the background a picture of yourself, your cat or whatever you fancy. 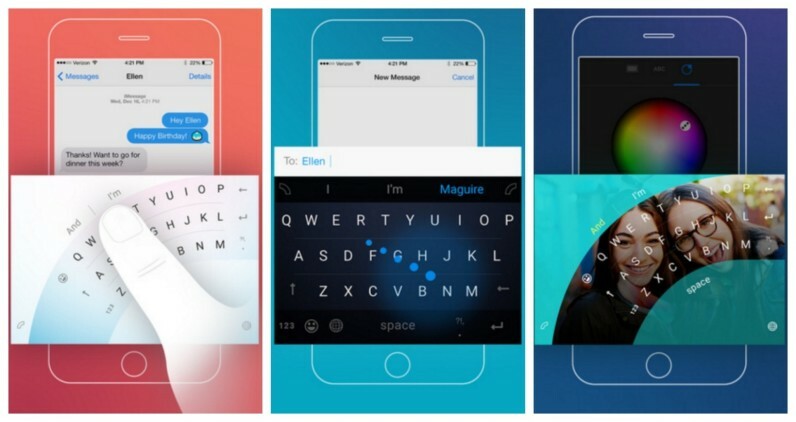 So, if you’re forever dropping your iPhone or sick of Apple’s random Autocorrect suggestions, Microsoft reckons Word Flow could be exactly what you need for faster and more intelligent typing.